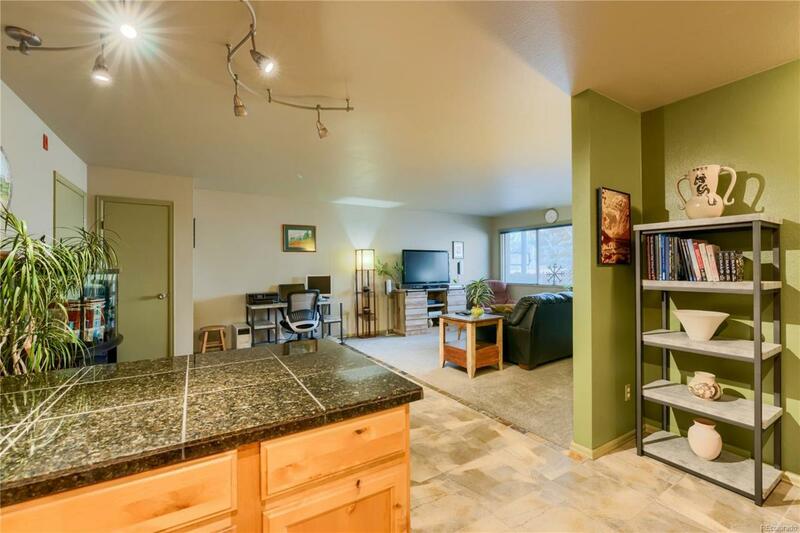 Beautiful updated garden level condo w/ 1 bed, 1 bath. Enter into an open floor plan w/ slate floors & one year old carpet in living room & bedroom. Eat-in area has slate floors, room for table & chairs, or sit at the kitchen breakfast bar. Kitchen has custom alder cabinets & tile floor w/ spacious pantry. Bathroom has stunning slate floors & shower. This unit also has 1 covered carport space & security entrance.